Thwarting any prognosticators who suggested Netflix might have gone soft, the streaming service wants everyone to know it’s still in charge, it’s got some ladies working for it, and if they know what’s good, they’ll keep right on working. Because failing to do so would be dumber than not participating in the cockroach cigarette transport trade, Variety reports that Netflix has already renewed its definitely-a-drama hit Orange Is The New Black for another year. 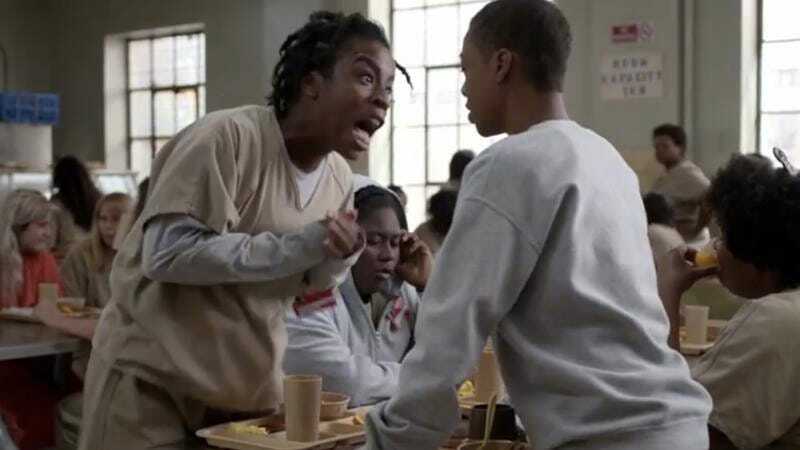 The show, set in a fictional women’s prison in Litchfield, New York, has been one of the service’s top-performing original series, not to mention a massive critical hit. Netflix has renewed the show earlier and earlier with each passing year, this time granting another round of episodes to the show almost two months before season three premieres on June 12. It has also released a new clip from the upcoming season, because it wants you to know that it can be kind, too—as long as everyone keeps playing along, renewing their subscriptions, and keeping their mouths shut, we won’t have any trouble here.